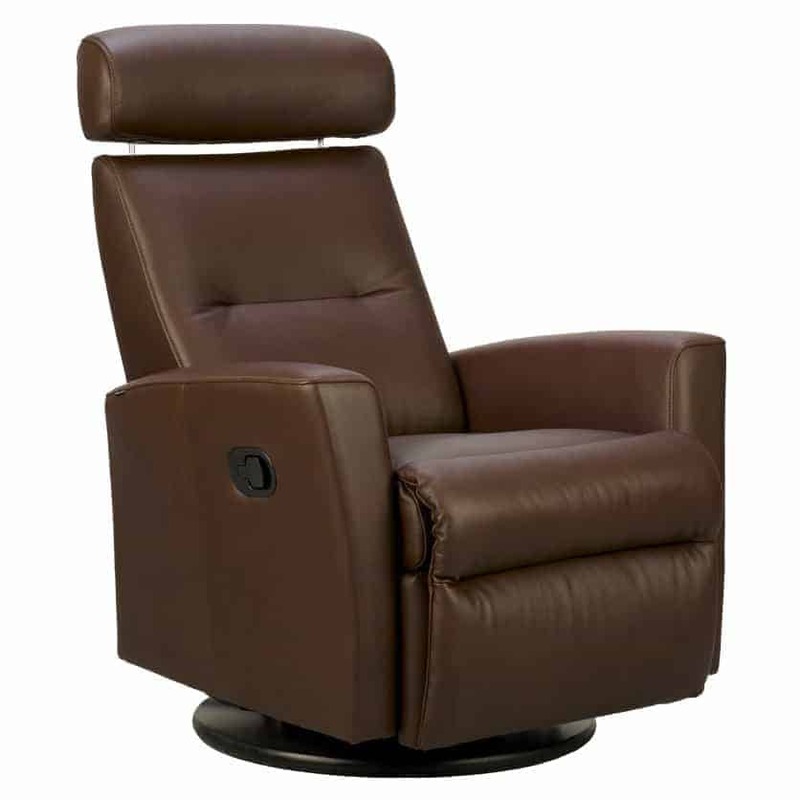 The Fjords Madrid Relaxer offers Scandinavian design, comfort and quality at a much lower price than Ekornes Stressless® recliners. The Madrid Relaxer is manufactured by Hjellegjerde, a Norwegian based company founded in 1941. Hjellegjerde is certified by the International Standards Organization (ISO) which means their chairs meet both Norwegian and international standards of excellence. 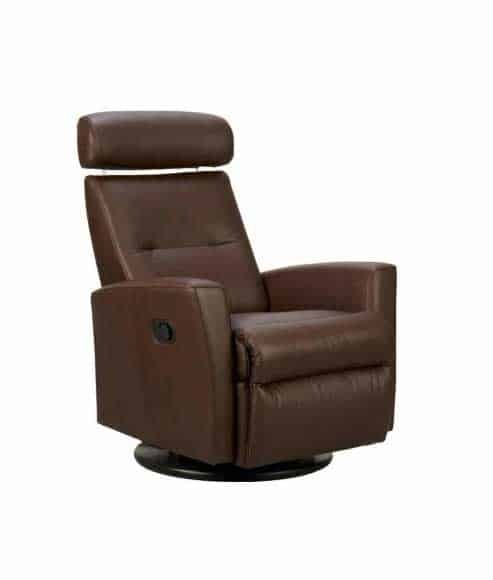 This relaxer features the Fjords “Active Release System” that allows the headrest to be adjusted to the perfect position. 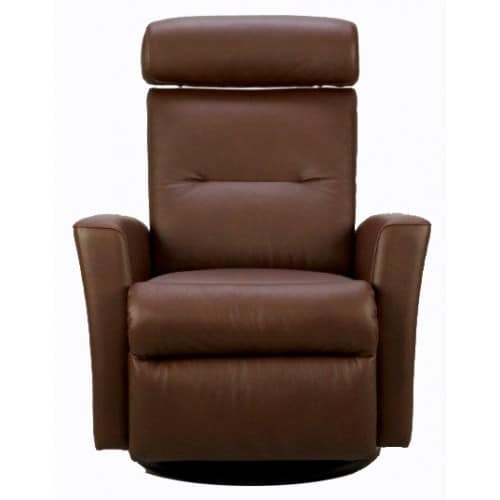 Now you can read your favorite book or watch TV with proper neck and back support while in the reclined position. In addition to the reclining mechanism, this model features a 360 degree swivel and a wonderful gliding motion. The swivel design allows movement of the relaxer with just a slight push of your foot. 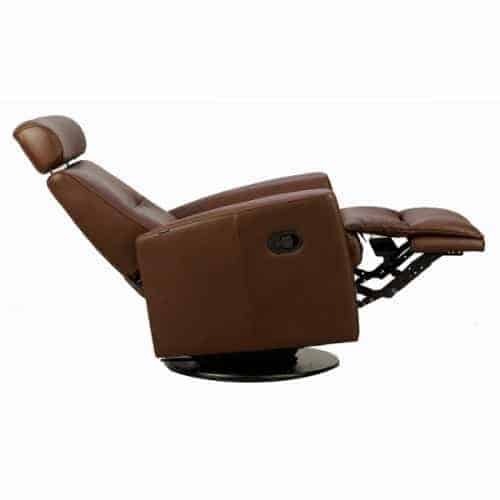 The Madrid is our only swing relaxer that offers a full chaise recline and a headrest with height adjustment. 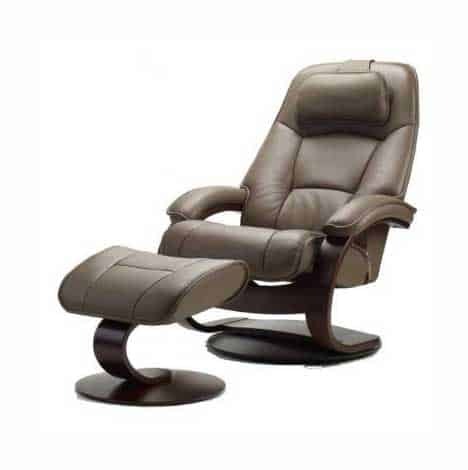 The Madrid Relaxer is stocked as both a manual and power recliner. Stocked leather colors include Soft Line Cacao, Latte and Nougat. The Madrid can also be special ordered in 3 leather grades in a variety of leather colors. 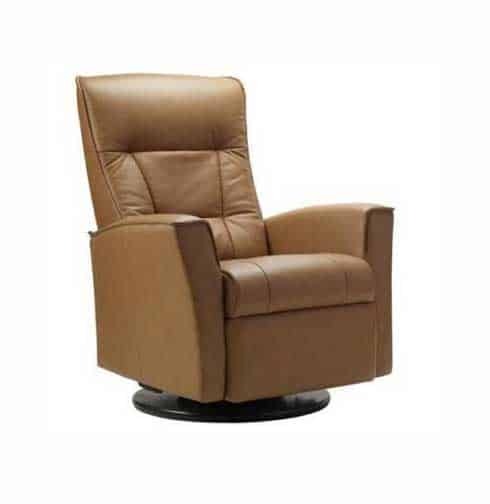 100% top grain leather, solid hardwood construction along with cold cured molded foam ensures stable and consistent comfort for years of use.